The Drifter Hotel is a 20-key boutique hotel located in New Orleans, LA. The Drifter is a member of Design Hotels™ by Starwood Hotels & Resorts and was created for the global nomads looking for an experience off the beaten path. Kupperman Companies acquired, repositioned, and developed the derelict yet historic hotel in partnership with CSM Investments, LLC and Sandstone Developments. Designed by Nicole Cota Studio, the property features murals and artwork by artists Alexandra Kilburn, Scott Sturgill, and Butch Anthony. 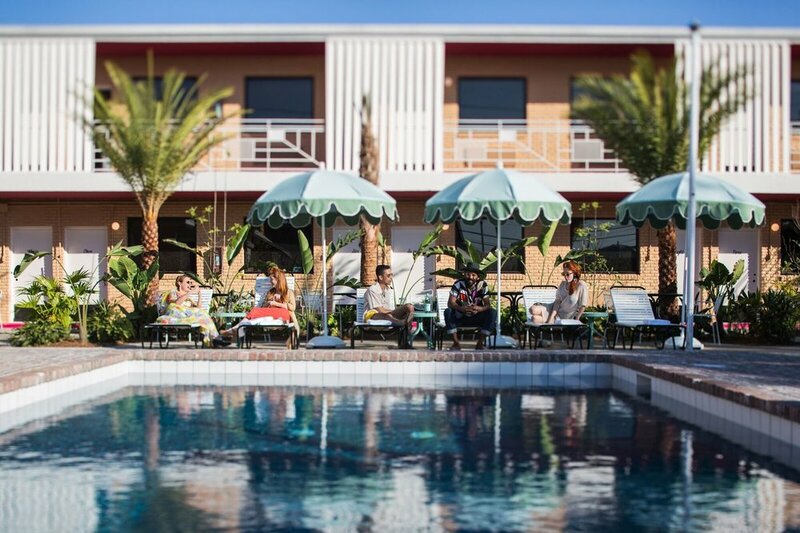 The hotel features a heated salt-water pool, bar, coffee shop, event spaces, live music and hosts a rotating cast of food pop-ups serving global cuisine. Winner of the 2018 Louisiana Landmarks Society Award for Excellence in Historic Preservation. The St. Vincent's Guesthouse is an historic hotel in New Orleans' Lower Garden District originally built as an orphanage in 1886. Kupperman Companies, along with partner Sandstone Development, acquired the property in 2017. We currently operate the hotel and are in the process of repositioning it into a 74-key boutique hotel. MetroStudio is the architect. More information to be announced soon. 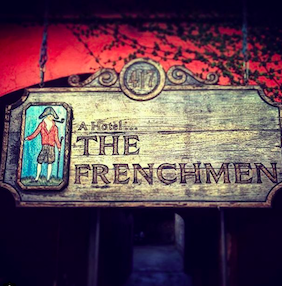 The Frenchmen Hotel is an historic hotel at the heart of New Orleans' world famous Frenchmen Street. Kupperman Companies, along with partners CSM Investments and Sandstone Development, acquired the property in 2018. The 27 room boutique hotel is made up of three former creole cottages originally built in the 1860’s. Amenities include a pool, lobby, bar, outdoor deck, venue, and on-site parking. The Rampart is an all-suite boutique hotel in the heart of downtown New Orleans. Built in the 1800’s, The Rampart is on one of the most historically significant blocks in New Orleans: the “Birthplace of Jazz.” Kupperman Companies, in partnership with ERG Enterprises, purchased the blighted and abandoned property in 2018 and is in the process of converting it from its previous use as medical office into the boutique hotel. Concordia Architects is the architect and NFT Group is the general contractor. 31 West Congress is an historic mixed-use building in the heart of downtown Savannah’s historic district. Kupperman Companies, in partnership with CTR Partners, purchased the property in 2019. The building currently features four ground-floor retail tenants, and the upper floors are being redeveloped into a new hospitality concept in 2019. 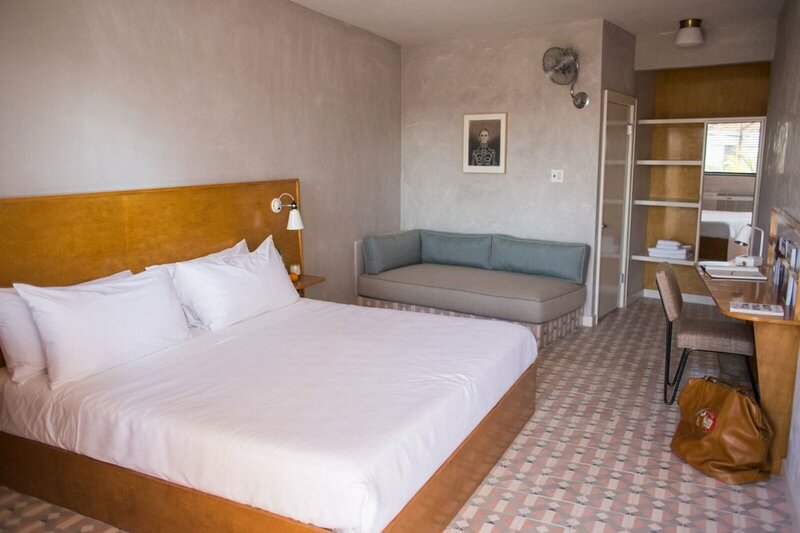 First & Bouldin is a boutique hotel in Austin, Texas that features eight intimate bungalows tucked away in the heart of downtown Austin. Our spacious, two-story bungalows feature local art and custom furniture from Four Hands, Copenhagen and Austin Antique boutiques. First & Bouldin is in the heart of Central Austin and walking distance to South Congress, Town Lake, Lady Bird Lake, the Palmer Events Center, Zilker Park, and all of the downtown restaurants, shops, and local attractions. Kupperman Companies acquired the property in 2018 in partnership with Barrett Ventures and is in the process of repositioning it. We partnered with the YWCA to co-develop a 17,000 square foot office building and daycare facility. Once complete, the buildings will house The YWCA of Greater New Orleans headquarters. Located at 601 Jefferson Davis Parkway, New Orleans, LA. Trapolin-Peer is the architect. The Bywater Mixed-Use portfolio is an 11,600 square foot mixed-use development in the heart of the Bywater on St. Claude Avenue consisting of three adjacent developments. Current retail tenants include NOLA Bark Market, New Orleans Art Supply, Bywater Framing, and The Maltese Art Gallery. The development also contains four luxury apartments and 22,000 square feet of open space. The Wiltz Gym portion of the project was the recipient of the 2016 Louisiana Landmarks Society for Excellence in Historic Preservation Award. Developed in partnership with Ben + Burka. 5530 Magazine Street is a retail development on Magazine Street, New Orleans' premiere shopping destination. Tenants include Blo Blow Dry Bar and Swap Boutique. Kupperman Companies, LLC acquired and currently manages an 8,125 square foot free standing Dollar General in Abita Springs, Louisiana. 3335 N. Claiborne Avenue, New Orleans, LA. 3335 N. Claiborne is a new development in the Bywater. It sits at a hard corner with signalized four-way lights and traffic of 30,000 cars per day. It is the site of a former Popeyes Restaurant. Pre-development stage. Please contact us if interested in the space.